It is easy to find your Jackson® Id or serial number and/or style and cover numbers. 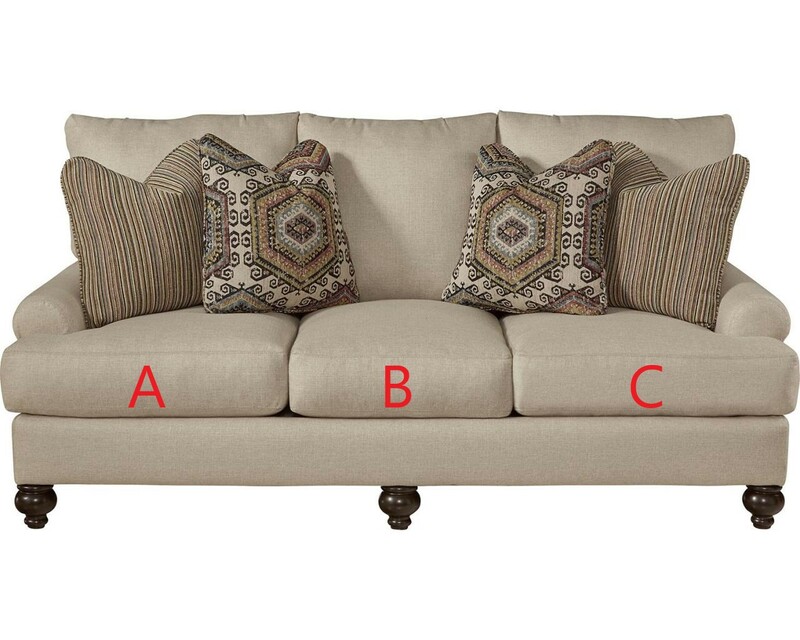 Simply face your sofa and pick up the far right cushion. The serial number should be at the top of the the large sticker on the seat deck under the cushion. The id number and style and cover numbers should be on the smaller sticker on the seat deck under the cushion. The first number of the style number just refers to the factory that it was manufactured in, so we only need the last 6 numbers of the style number. For example if your style number is 5323203 we just go by the 323203. Call us with these numbers for help, or compare it to the numbers at the top of this description. SHIP TIME: Cushions and covers are sometimes in stock and if so we can ship fast. If they are not in stock it usually takes 3-5 weeks for production and a few days for shipping. Call us if you need cover(s) and or cushion(s) right away.